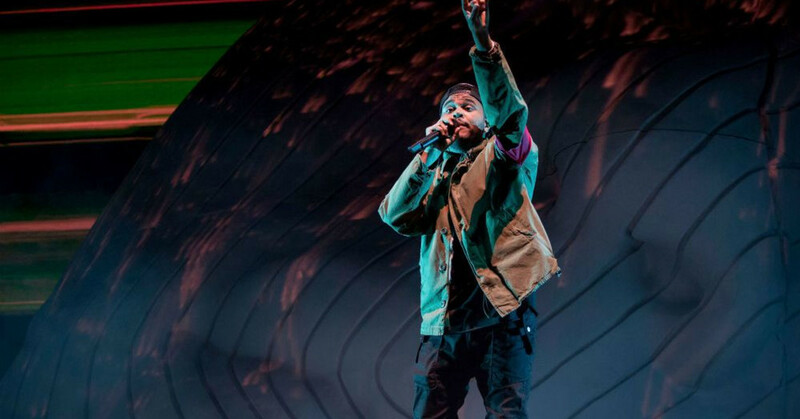 This past weekend, thousands of people took to the desert of California to attend Coachella Music Festival. As a festival fan, Coachella is my least favorite one. It’s pretty boujee and overrated–although, they do usually have some pretty great lineups. 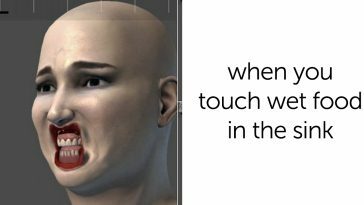 I’ve gone to several other festivals around the country and have seen the people are friendlier, the layouts are easier to navigate, and goddamn it’s not as hot. If you’re sick and tired of hearing about Coachella, these are for y’all. Two things that annoyed me yesterday was seeing Coachella posts and Beyoncé posts. Also, “Beychella” has two be one of the top most annoying words y’all put together. I’m not liking anyone’s Coachella pictures these next two weeks. 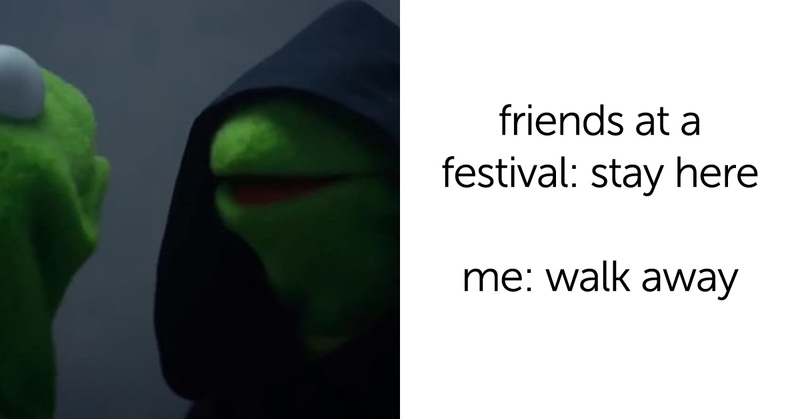 Maybe one day people will realize it’s not worth it to ignore the horrible truth of the organization and festival for a couple social media posts. Is there a way to mute all #coachella posts on social media? I have already seen enough selfies with dumb flower head bands for one year. 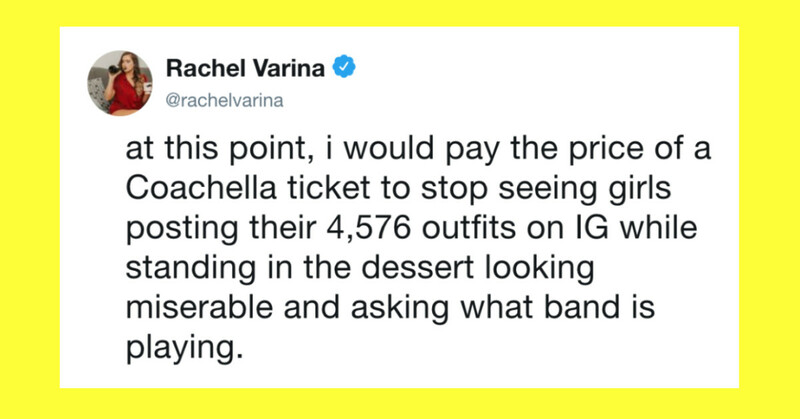 at this point, i would pay the price of a Coachella ticket to stop seeing girls posting their 4,576 outfits on IG while standing in the dessert looking miserable and asking what band is playing. I’m watching the Coachella live feed for three reasons. I’m bored and I hate myself and I want to feel a sense of superiority. Is it just me or does Coachella look kinda… Boring and artificial?